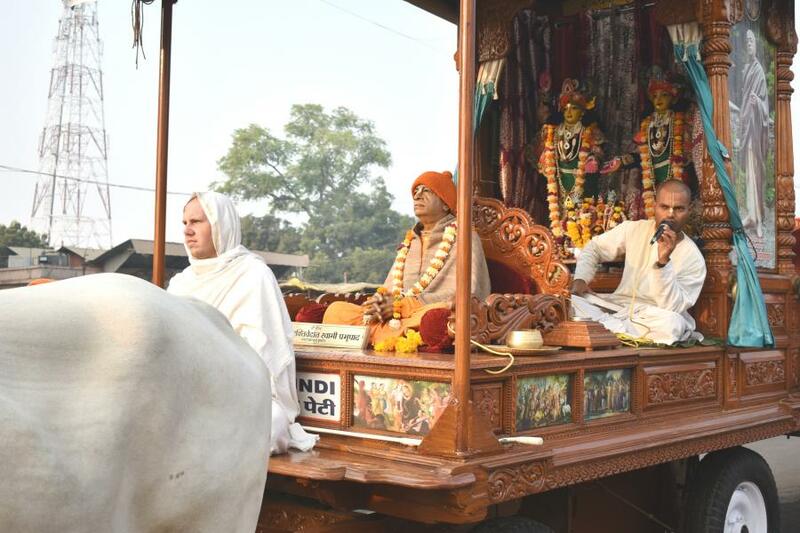 Throughout the seven years that I have been involved with padayatra I have always felt the cart of our Sri Sri Nitai-Gaurasundara to be very special. 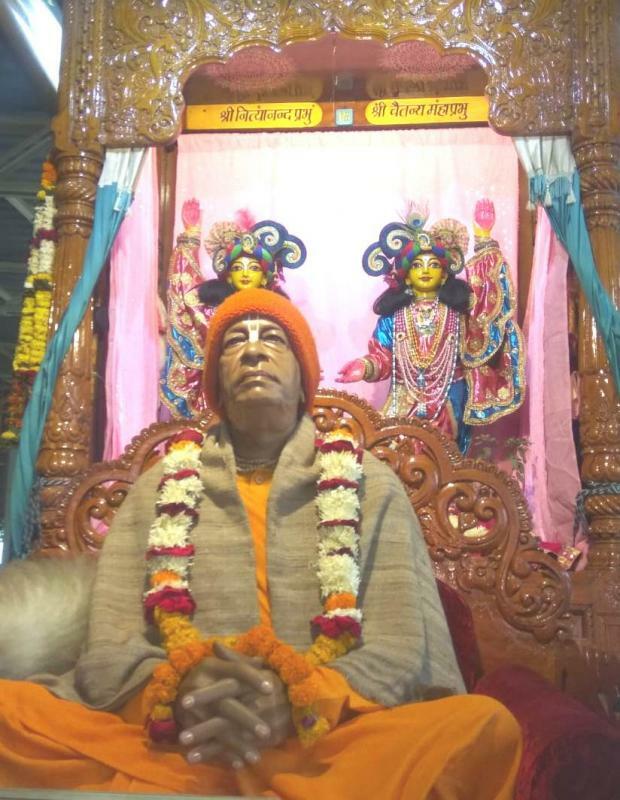 Their Lordships have been carried on it for so many years that in the words of my Gurudev, it is like a mobile temple, moving everywhere to bring darsana to the people. 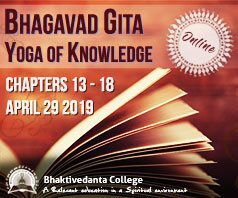 The cart also carries Srila Prabhupada and his books and every evening when we go for sankirtan we display Bhagavad-gita on the cart, so that people can have darsana and buy it. Thus, the cart has always been adorable for us padayatris. When we were at Vela, a village in the Devali taluka of Wardha district in Maharashtra with limited devotee association, the residents were happy to receive us. 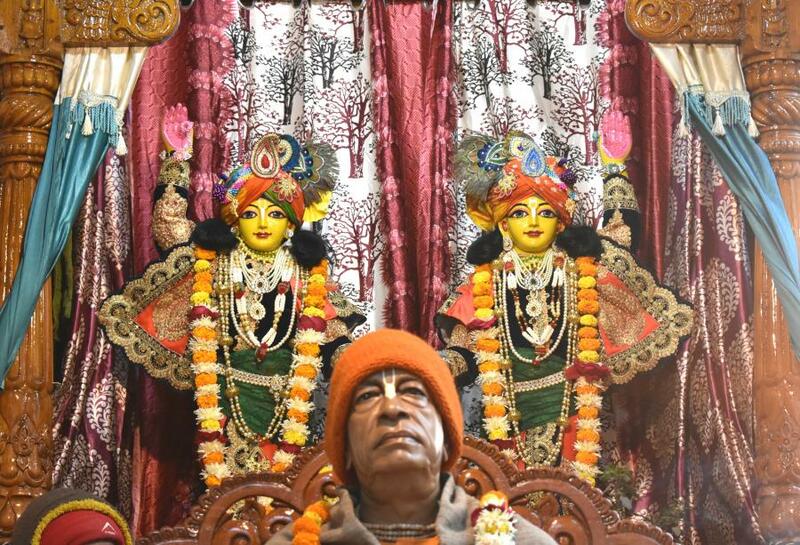 I announced, “Their Lordships have been travelling all over India and giving darsana since 1984 and Their darsana has made many people devotees of the Lord. 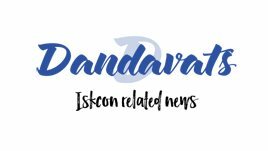 They have stolen many hearts and They fulfil all your desires.” On hearing this, the villagers were so delighted that they wanted to take the cart along every street and that evening on nagar sankirtan many of them joined us and followed the cart singing the holy names. Initially, the cart was easy to manoeuvre along the main village roads, but then came a narrow street that was going to be difficult to negotiate. But the villagers were saying, “We will try. Why leave people on this street without the darsana of Their Lordships?” They then unharnessed the oxen and put their shoulders to the cart. I was doubtful about the passage, but they pushed it through while singing Hare Krsna. 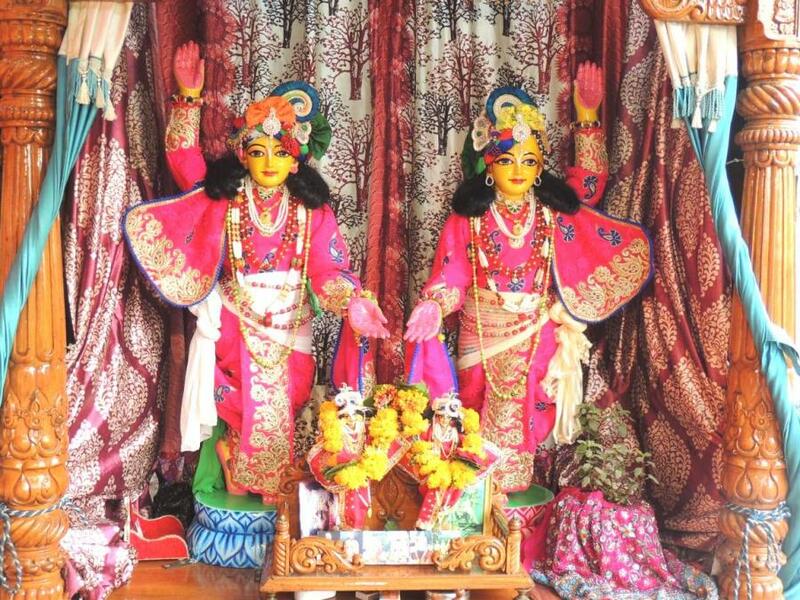 I don’t know how but the cart made it and as it inched along the narrow street, I realized that this cart is an expansion of Lord Balarama – expanding into the Lord’s paraphernalia to serve Him. 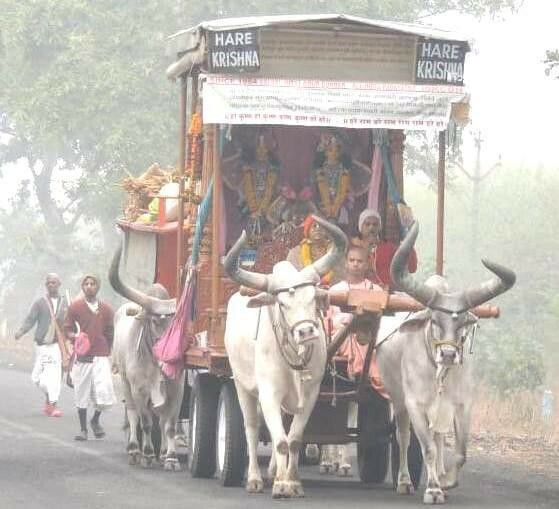 Nowadays the asphalt roads are very difficult for the oxen to walk on, but by the Lord’s mercy they do so carrying Their Lordships on their shoulders. I think the Lord guides and gives them the power to walk on the slippery roads. 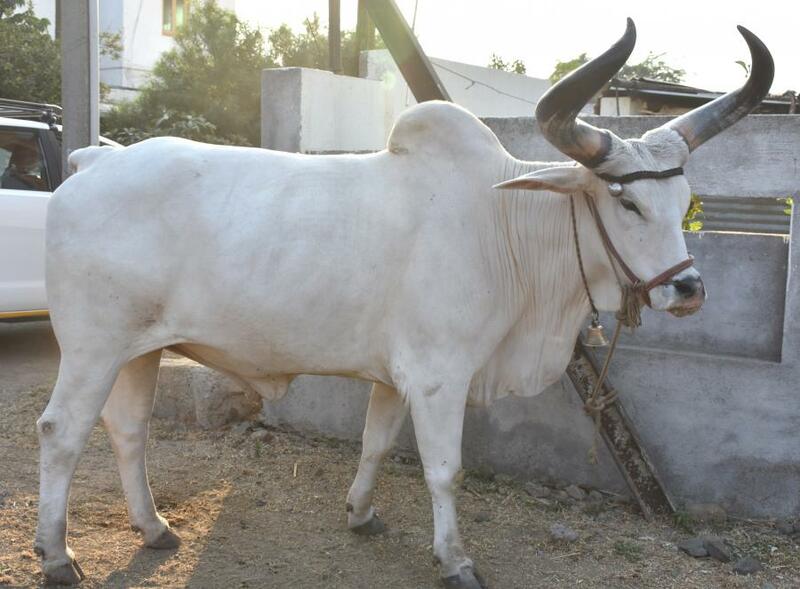 Jai, one of our very strong oxen, was once out of control after I poked him slightly to walk faster because there was a car in front of the cart. I was sure we were going to bash the car and I closed my eyes out of fear, but Jai stopped and there was no collision. Such miracles happen every day, proving that our ratha is not ordinary. After touching the cart many people say they felt as they had touched the Lord. Such are the unending stories of Sri Sri Nitai-Gaurasundara’s cart.